30th Annual Paso Robles Wine Festival Embraces Historical Roots, May 18 – 20, 2012 Experience Wine Country All Weekend and Celebrate a Classic Saturday Grand Tasting: Tickets Now on Sale! The Paso Robles Wine Festival celebrates its 30th Anniversary, May 18 – 20, 2012, embracing historical roots. In 2012, wine enthusiasts are invited to experience how personality and rich history are reflected in every wine created both in the Downtown Park and throughout Paso Robles Wine Country. 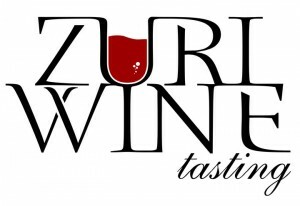 Tickets for this marquee wine event of California’s Central Coast are now on sale at www.pasowine.com. Wine Festival offers enthusiasts a bevy of exciting events throughout the weekend: Friday RESERVE Tasting (3:30 – 6 p.m.), Saturday Winemaker Seminar (11 a.m. – 12 p.m.) and the pinnacle of the weekend, the Saturday Grand Tasting (12 – 4 p.m.). In addition to these exciting Downtown events, more than 150 area wineries celebrate individual activities throughout the weekend. The 30th Annual Paso Robles Wine Festival kicks off with the Friday RESERVE tasting from 3:30 – 6 p.m. in the Downtown City Park. Wines in four categories will be featured – library, reserve, futures and refreshing power white/Rosé samples – complemented by culinary bites prepared by local chefs. RESERVE will again feature the popular Futures Auction which allows guests to bid on their favorite case of unreleased wine. Funds raised through the Futures Auction will benefit San Luis Obispo County organizations providing healthcare, education and greater community services. Paso Robles Wine Country comes together for the Saturday Grand Tasting with a new time, from 12 – 4 p.m. More than 70 wineries will showcase the depth and breadth of wines found throughout the Paso Robles American Viticultural Area (AVA). A variety of gourmet food trucks will feature everything from authentic Mexican cuisine, to local farm-to-table fare from throughout the central coast. Back by popular demand will be the Cheese, Bread & Water Stations as well as a collection of artisans showcasing their wares throughout the park. The Winemaker Seminar takes place from 11 a.m. – 12 p.m. and is now open to all ticketholders for a nominal price. This interactive seminar provides attendees unusual insights to the diversity of wines found in Paso Robles Wine Country. The 30th Annual Wine Festival is designed for enthusiasts to get out into Wine Country and experience the many tasting room and wineries Paso has to offer. Throughout the weekend, more than 150 area wineries will host special activities including winemaker dinners, food pairings, cooking classes, and winery and vineyard tours. More than 50 Paso Robles wineries offer “FESTIVAL FAN” specials to ticketholders of the Wine Festival Grand Tasting. Visit www.pasowine.com for details. • CAN HARDLY WAIT PASS: $10 discounts on RESERVE, PREMIUM and FESTIVAL ticket levels are available through March 31, 2012. Discount does not apply to LOCALS ONLY, DESIGNATED DRIVER/CHILD or SEMINAR tickets. 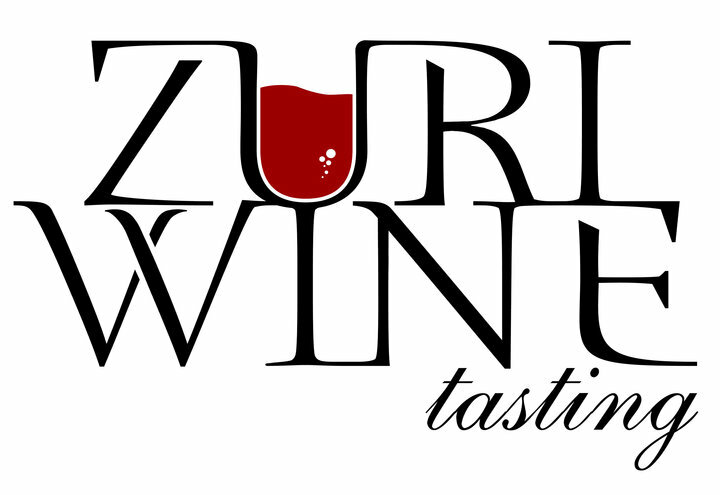 • RESERVE: $125 – Friday RESERVE: 3:30 – 6 p.m.; Saturday Grand Tasting: 12 – 4 p.m. Advance purchase only. • PREMIUM: $75 – Saturday Grand Tasting: 12 – 4 p.m. • FESTIVAL: $55 – Saturday Grand Tasting: 1 – 4 p.m.
• LOCALS ONLY: $30 – Saturday Grand Tasting: 1 – 4 p.m. – Available to San Luis Obispo County residents, advance purchase only, deadline April 30, 2012. • DESIGNATED DRIVER/CHILD $15 – Saturday Grand Tasting: 12 – 4 p.m. • SEMINAR: $10 – RESERVE ticketholders; $20 – PREMIUM and FESTIVAL ticketholders: 11 a.m. – 12 p.m. Limited seats. The Club Culinaire of Southern California will hold its annual Picnic des Chefs on Sunday, May 20th at Vasa Park in Agoura Hills at 2854 Triunfo Canyon Road, where 4 acres of lush mountain side await us. LA’s top chefs will create authentic dishes from various regions of France. Participating chefs (partial list): Marius Blin (Hotel Sofitel); Xiomara Ardolina (Xiomara); Michel Blanchet (Michel Cordon Bleu); Joe Miller (Joe’s Restaurant); Josie LeBalch (Josie Restaurant); Neal Fraser (BLVD); Yvan Valentin (Sweet Temptation); and Christian Kaufman (Emil’s Swiss Pastry). The party starts at 11:30am until 4:30pm. Chefs will cook up over 700 lbs. of meat, poultry and fish, 500 lbs. of vegetables, 200 lbs. of cheeses, 500 baguettes, 50 artisan breads, and much more. Over 50 wineries will be pouring their favorite selections for guests to taste. The event is great for kids (including a moon bounce paradise, heated swimming pool with a giant waterslide, rock climbing wall, drawing competition, and games). Adults can play pétaque, (win your weight in wine), soccer, volleyball, and badminton. Raffle prizes include two roundtrip tickets to Tahiti or Paris on Air Tahiti Nui, gourmet dinners, and shopping certificates. Musical entertainment will be provided by a French DJ. Proceeds from the event will benefit the Concern Foundation and the HOPE Program at Childrens Hospital Los Angeles. Ticket price is inclusive of all food, beverages, entertainment and parking. Fans can “LIKE” Club Culinaire on Facebook to receive a $10 off coupon code here. WHO: Josiah Citrin, Mélisse; Michael Cimarusti, Providence; Gino Angelini, Angelini Osteria; Rory Herrmann; Bouchon; Michael Voltaggio, ink. 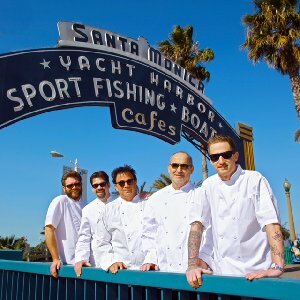 WHAT: A series of 5 extraordinary tasting dinners at 5 of the best restaurants in Los Angeles as created by 6 top chefs. Each participating chef will be present at the 5X5 dinners to prepare a course in the style of the Host Restaurant. This season, each restaurant has invited a special Guest Chef to join the group as an added attraction. Pricing for the dinner will be $150 with wine pairings available at a supplemental charge. Credit card deposit required to reserve; taxes and gratuities not included. A portion of the evening sales will be donated to the Special Olympics. WHY: The five chefs designed the collaborative dinner project as a means to build a stronger community among chefs and restaurateurs within the Los Angeles restaurant scene. The mission of 5X5 is to provide a unique dining experience for the discerning diner while forging new and/or stronger relationships with their esteemed peers in Southern California. By working together as a collaborative, 5X5 plans to build beneficial interaction and networks among each other along with mutual inspiration through working, supporting, and learning as a collaborative team of talent and resources and above all to have some fun! WHEN: Contact each restaurant for reservation times available. Wine Tasting and Dinner Celebration! On Saturday, April 28, 2012 at 7 PM. Le Chene will be featuring the following wines: Domain Barat Chablis Premier Cru Les Fourneaux 2002 to start, paired with Baby Mixed Salad with Apples, Olive Oil and Meyer Lemon plus Coquilles St. Jacque with Leek au Gratin. Followed by Lous Max Nouit St. Georges Les Liebres 2001 with an entree of Veal Scallopini with Calvados Cream and Apples, Carrot Puree’ and Saute’ Potatoes. Dessert includes Beignet de Pommes a la Normandie, Apple Sorbet along with Sparkling Apple Cider. $75 includes dinner, wine, tip, tax and a good time! For more information and to make your reservations online, please visit http://lechene.com/menus/tour-of-normandie-wine-tasting-a-dinner.html. You may also call the restaurant at (661) 251-4315 or e-mail us at info@lechene.com. 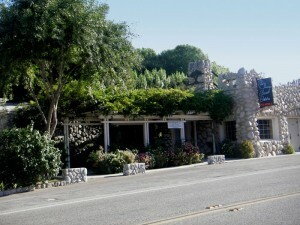 Le Chene is located at 12625 Sierra Hwy., Santa Clarita, California, 91390. Please make reservations, as seating is limited. Le Chene French cuisine opened in September 1980 by chef owner Juan Alonso. Through remodeling and expansions Le Chene has grown in size and customer base. Le Chene is a true destination restaurant located only an hour from downtown Los Angeles. Le Chene is located in a secluded oasis of Santa Clarita, surrounded by centennial oak trees, which is where Le Chene (the oaks) gets its name from. Le Chene is the place to escape from the cities hustle and bustle. The outside of Le Chene has the look of a small castle, made of river rock. Once you open the door the rock motif continues through the entrance then opens to a large bar overlooking the garden, underground wine cellar full of mature wine and an open patio shaded by oak trees. Le Chene Restaurant has been awarded year after year with the Best of Award of Excellence by the Wine Spectator for their wine list. Le Chene is fortunate to possess underground cellar ideal for storage and aging of fine wines. 32,000 bottles are resting and aging in the cellar waiting to be enjoyed by our customers. Our wine list encompasses over 900 different French and Califonia wines. Most of the wines are from California and France, with a large selection of Bordeaux, Burgundies, Cabernet Sauvignons, Merlots, Zinfandels, California and Oregon Pinot Noirs, Chardonnay’s, and many more to choose. Our goal here at Le Chene is to have a bottle of wine that you can enjoy at a reasonable price. First and foremost, we are a restaurant and we’re proud to offer one of the most extensive wine lists in the Los Angeles area and indeed, all of California. This wine list is our working wine list and is subject to change. From time to time we may sell some of our wines but since some of our prices are below retail value, we would like to reserve those for our restaurant customers, who come to enjoy the unique atmosphere and excellent food that is part of the dining experience of Le Chene, along with our extensive wine list. 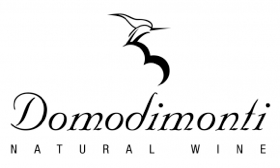 If you are interested in purchasing one of our wines from the website, please consider your order as a wish list and e-mail or call us to let us know what you’re interested in purchasing. If we have enough of it, without affecting our restaurant service, we will be glad to ship to you. Also, if you are looking for specific vintages, we will be glad to try and locate them for you. Should you have any questions or need more information, our wine buyer and sommelier will be more than happy to assist you by email info@lechene.com or by phone at (661) 251-4315. WHAT: WILSHIRE restaurant and Executive Chef and Top Chef: Texas contestant, Nyesha Arrington, present an intimate 5 course winemaker dinner with Palmina winemakers Steve and Chrystal Clifton under the stars on the lower patio of the restaurant. Pricing is $125 per guest, plus applicable gratuities and taxes. The 7th Annual LAWineFest, taking place June 9 and 10 at Raleigh Studios, will once again offer Angelenos an opportunity to sample award-winning wines from more than a dozen countries, alongside food truck nibbles and gourmet treats. Dubbed “LA’s largest educational wine festival,” the two-day festival features a variety of tasting classes taught by wine and spirits professionals, international cuisine to sample, live entertainment, and hundreds of wines, beers, and spirits to try. WHEN: Saturday, June 9, 2-6 p.m. and Sunday, June 10, 12-6 p.m.
TICKETS: Regular Price: $75/day; $139/couples or weekend pass. Purchase tickets at www.LAWineFest.com. Special Programs: Special classes on wine and cheese pairing, international wines, and bourbon, scotch and sake appreciation will be offered both days; tickets available separately at www.LAWineFest.com or by calling (818) 429-6770. Parking: Street parking (metered on Saturday) and paid parking available at Paramount Studios lots on Bronson and Van Ness. Los Angeles magazine is the definitive resource and indispensable guide for in-the-know and on-the-go Angelenos. A regional magazine of national stature, Los Angeles is the authority on everything from cutting edge cuisine, style trends, and thought leadership to all that is the Best of L.A. Available every month in print and every day online at LAMag.com, Los Angeles magazine covers the people, lifestyle, culture, entertainment, fashion, art and architecture, and news that define Southern California. City of Hope is recognized worldwide for its compassionate patient care, innovative science and translational research, which rapidly turns laboratory breakthroughs into promising new therapies. One of only 40 National Cancer Institute-designated Comprehensive Cancer Centers nationwide, an independent biomedical research, treatment and education institution, they are a leader in the fight to conquer cancer, diabetes, HIV/AIDS and other life-threatening diseases. At City of Hope’s park-like campus just northeast of Los Angeles, researchers advance ideas into discoveries, physicians bring emerging therapies to patients, and students learn to transform the landscape of modern medicine – all supported by the generosity of philanthropists from across the country for almost 100 years. WHEN: Passover Holidays observed from April 6– 14. 48 hours notice required to order by credit card. WHY: Owners Suzanne Goin and Caroline Styne bring neighborhood-friendly events to their Brentwood restaurant, providing a delicious experience that encourages socializing and community spirit. THE LARDER at TAVERN provides artisanal breads, take-away delicacies, cheeses, charcuterie, brown bag lunches and picnic boxes, showcasing many of Suzanne Goin’s specialty dishes at TAVERN. WHEN: Please place all orders 48 hours in advance. Orders for Easter Sunday, April 8th must be placed by Thursday, April 5th at 5pm. Credit card payment is required. Tavern will schedule pick up times between 9am and 5pm. Delivery available for minimum orders of $100 with delivery fee.